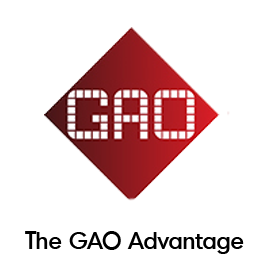 RFID Frequently Asked Questions (FAQs) - GAO RFID Inc.
1. What is automatic identification and data capture? Automatic identification and data capture is a term to describe technology for identifying and collecting data about objects, and then entering the data directly into computer systems automatically without human involvement. Examples of this technology include bar codes and Radio Frequency Identification (RFID). 3. How was RFID developed? RFID has been used and depended on for over 70 years. The first RFID-related device was invented by Mario Cardullo and patented on January 23, 1973, which was a passive radio transponder with memory. But, the earliest system that used the same concepts as an RFID system was first developed during World War 2. In order to identify themselves as friendly aircraft, British planes would have transmitters that would receive a signal from a ground based radar station and broadcast a friendly return signal in reply. On the other hand, the first patent to be associated with the abbreviation RFID was granted to Charles Walton in 1983. 4. Is RFID a new technology? RFID is a proven technology that has been around for a very long time. In the past, RFID used to be very expensive and limited in practical commercialized options, but with technological development, components can now be manufactured at a lower cost. RFID applications are now a cost-effective option that are able to solve problems that other alternatives such as bar codes are not capable of. 5. Is deploying RFID better than using bar codes? RFID is better than the bar codes because RFID tags don’t need to be within the line of sight of the reader and bar codes do. This saves time and allows faster processing because assets don’t need to be oriented a certain way to be read. 6. What are the benefits of RFID? 7. Are there any health risks associated with RFID applications and radio waves? Large amounts of radio waves is believed to be harmful to human body and causes diseases such as cancer. However, the strength of radio waves used by RFID applications is similar to that of television and radio, hence it is safe to say they carry no significant hazard. 8. What are the common applications for RFID? Tracking objects in the supply chain is one of the most common applications of RFID. Objects that are typically tracked include: consumer goods, reusable assets, high value tools, and manufacturing parts. RFID is also commonly used for access control, inventory management, payment systems, parking systems, and for tracking people, including workers, visitors, and patients. 9. What is EPC standard? 10. What is EPC Gen 2? Gen 2 is the shorthand name given to the second generation EPC global protocol. It addressed the compatible problems in old tag class 0 and 1 and was designed to be globally accepted with enhancements such as a dense reader mode of operation, so as to prevent readers from interfering with one another when they are used in close distance to each other. It was later adopted with minor adjustments as ISO 18000-6C. 11. What’s the difference between ISO and EPC? The Electronic Product Code is a global standard created by EPCglobal for use in many industries such as the RFID field. In 2006, the EPC Gen 2 was adopted by the International Standards Organization (ISO) as the ISO 18000-6C standard. ISO mainly focused on standards that deal with air-interface protocol and applications for RFID. EPC deals with more than just how tags and readers communicate; it also creates network standards to govern how EPC data is shared among different companies and organizations. 12. Is there any example of standard used in health industry? Yes, there is the e-pedigree standard created by EPCglobal for pharmaceutical industry which provides a common platform to track medications movement in the supply chain. 13. What are the advantages of RFID? RFID application enables inventory efficiency as line-of-sight is not required to read RFID tags. Although the initial cost may be high at first, the total cost of ownership can go down over the years and provide a good return of investment. On the other hand, an RFID tag is less vulnerable to damage comparing to barcode as it is protected by an outer case. 14. Is there any privacy concern with respect to RFID technology? The main privacy concern is that most RFID tags are small and may have the potential to track individuals' movements without users’ consent, the personal information being gathered either intentionally or accidentally may lead to secondary uses or even illegal activities. There are RFID implementation guidelines issued from governmental bodies that companies or organizations should follow in creating their RFID designs and operating those RFID systems. This is to ensure the maximum individual participation and consent to avoid misusing personal information. It is also the providers’ responsibilities to ensure the data collected is stored accurately and securely. 15. What are the fields of interest for RFID applications? Animal movement tracking is probably one of the first RFID applications being used. Nowadays, even more sophisticated farm management systems have been created that provide extra features such as ensuring correct type and amount feed to each animal, and animal health monitoring that keeps track of condition such as pregnancy. Instead of having implants under the skin or a separated handheld device, RFID tags can be inserted into clothing to help communicate user preference and shareable information to service providers’ readers at various locations such as bus-stop, café, library, etc. for better quality of services. Edible tags can be sealed on food to provide even more detailed micro management in nutrition values and tracking through human body digestion and absorption with feedback to monitoring app, this can be beneficial to both healthcare providers and patients, or personal use as general health interest. Similar to how RFID technology was first created and applied during second world war to recognize friendly or enemy aircraft unit, more advanced system nowadays can even provide more information such as their functionalities and types of weapon. Furthermore, RFID system can also enhance logistic and supply chain management in the field. There are RFID applications implemented in transportation, such as in vehicles for easier payment on parking meter and highway crossing, and RFID tag payment card for mass transportation. On the other hand, people that are visually impaired can also benefit from RFID system that gives sound warnings when encountering obstacles or dangerous areas. RFID applications are used extensively in the retail industry. They provide quick and accurate solution for inventory management such as yearly stock-take or daily cycle-count. They also enable users to do item search and goods-in recording more time-saving. In addition, at the point of sale, checking out all the items at once using RFID reading is also more efficient than scanning each item one by one. 16. What are ISO 18000-6C and its family? ISO 11785 ISO RFID standard that defines the air interface protocol. ISO 16963 ISO RFID standard for item management - unique identifier of RF tag. ISO 18001 RFID for item management - application requirements profiles. ISO 18046 RFID tag and interrogator performance test methods. mirror the parts for ISO 18000.
functionality for ISO 18000 air interface. recyclability of RF tags; part 3: RFID interrogator / antenna installation. 1. How does RFID work? A common modern RFID system is mainly made up of four parts: computer system host, reader, antenna, and tag. Depending on how the user set up the system, the reader sends out specific electromagnetic waves through the attached antenna. The antenna of the targeted tag is tuned to receive these waves, and it draws power from the received field to activate the circuitry of its microchip that will modulate new waves to send back to the reader. The reader then converts the radio waves reflected back from the tag into format that can be passed to the computer host to make use of it. 2. What are the benefits of combining RFID tags with sensors? The key benefit of combining RFID tags with sensors is to maintain real-time monitoring on variables such as temperature, humidity, or movement while tracking the objects. Some examples of using sensors for monitoring are: ensuring meat is stored at the right temperature, ensuring air in a green space has the right humidity, ensuring important equipment hasn’t been moved without permission, or if liquid barrels are contaminated. 3. What is an RFID system host? An RFID system host is a computer database that updates and keeps track of the data acquired from the readers. It can also run RFID software or middleware to control the readers and has many other features such as data filtering and manipulating, integration with multiple real-time network platforms, and the ability to incorporate cameras, sensors, or other components. 4. How does RFID work around water or metal? At ultra-high frequencies, it is difficult to track metal products or products with high water content since the radio waves reflect off of metal and are absorbed by water. In order to overcome this problem, RFID systems in these environments can use low frequency tags or high-frequency RFID tags, which work better in those environments. 5. What other factors affect RFID tracking? Cell phone towers, fluorescent lights, large machinery, equipment running at a similar frequency to the tags, and other environmental factors can block or interfere with an RFID system. To avoid these factors, it is important to make a note of any potential sources of interference, test the system, and then adjust it accordingly. 6. Can RFID tags interfere with other technical devices? No, the radio wave signals are too weak from RFID systems using passive tags, even for systems with active tags using individual power supply, the signals are transmitted at a standardized frequency to prevent causing or receiving interference. However, the RFID chips themselves can be disturbed by high-frequency radiation or magnetic fields. Studies have shown that a computer monitor close to the RFID reader/scanner significantly reduces the reliability of identification. Adverse effects can also occur in production workshops and factories with strong electrical currents and magnetic fields. Available in different frequencies with passive or active (battery powered) options, RFID tags are placed on what needs to be tracked. Tags are available in different sizes and material, are reusable or used only one time, and can even be embedded inside materials for monitoring movement, vibration, or temperature. 2. What is an RFID tag made up of? The basic components of an RFID tag can be divided into two parts. First, an integrated circuit for the purpose of data storing and processing, radio wave modulating and demodulating, and capturing power from reader’s radio waves. Second, an antenna for enhancing signal transmission. 3. What are the differences between active, battery-assisted (semi-passive), and passive tags? Active tags transmit radio waves signals periodically using its on-board battery. A battery-assisted tag activates its battery to transmit radio waves signal only when a RFID reader is close for detection. A passive tag has no battery and uses the energy of radio waves that are transmitted from the RFID reader to function. The passive tag is a lot cheaper to operate, but the transmitted radio waves have to be significantly high in order to achieve sufficient harvested power, leading to exposure to higher radiation environment and more vulnerable to interference. 4. Why is there a cost difference between passive and active tags? A passive tag has no battery and uses energy from the reader’s radio waves, making it more affordable than an active tag which requires a battery to power itself. 5. What are the differences between read-only and read-write tags? A read-only tag has a unique factory-assigned serial number for identification that cannot be modified. A read-write tag, on the other hand, is field programmable which can be written to at least once. Write-once, read-many (WORM) tags and read-write (RW) tags which can be written to multiple times, are the two types of read-write tags. 6. How much information can an RFID tag store? 7. What is an RFID power harvesting tag? An RFID power harvesting tag is an advanced RFID technology application of a regular passive tag that not only reflects radio wave signals back to the RFID reader, but also gathers and stores the energy of radio waves. The stored energy is then used to modify and transmit signals back to the reader at a different frequency for enhanced performance. 8. What is RFID tag collision? RFID tag collision is a situation where multiple tags reflect signals back to the reader in the exact same time frame, causing data confusion and incorrect identification. Although there are different systems designed to tackle this problem, the most common system is to have the tags delay their response to the reader by a set time frame (milliseconds) so that the data can be read one at a time. Since the delay is very small, it will appear as though all tags are being read simultaneously. 9. Can an RFID tag be disabled? An RFID tag can be physically disabled by simply disconnecting the circuitry from its antenna. Tags can also be disabled by having a reader send a ‘kill command’ to the tag which will prevent the tag from responding to any further requests from a reader. 10. Will a magnet erase an RFID tag? No, because the data is not magnetically encoded in the tag. On the Internet, there are many methods discussed for the disabling of RFID chips such as using strong magnets to terminate the tag functionality. But this is not effective because the memory in RFID tags is not magnetic based and the compact size of tags is unable to induce sufficient energy to destroy the chip. 11. Are RFID tags used globally? Billions of LF, HF and UHF RFID tags have already been sold worldwide as the RFID industry continues to experience consistent growth. The low frequency (LF) tags works on 125kHz, 134kHz frequency bands and high frequency (HF) tags works on 13.56 frequency used in all countries. Whereas, frequency allocations of UHF depend on geographical locations, such as most of North America, South America, and the majority of Asia using the various frequencies within the 902-928 MHz band while Europe uses the 865-868 MHz band. 12. What are the RFID tag classes or standards? Class 3: Semi-passive tag with read-write memory, onboard sensor and an incorporated battery to provide increased coverage. Class 4: Read-write active tag with integrated transmitter for communication using the battery onboard. Class 5: Class 4 tags that provide additional circuitry to communicate with or provide power to other tags. 13. Do environmental factors effect RFID tag functionality? While choosing an RFID tag the first requirement is frequency. The frequency of the tags should be matched with the corresponding RFID reader for the proper functioning. Every RFID system works on particular frequency band of low frequency (LF), high frequency (HF), ultra-high frequency (UHF) or microwave frequency. In general, with the increase in frequency range, the reading distance and rate of data processing also increase. For the reliable functioning it is important to deploy a tag according to its environment conditions. The housing material used for construction of tags depends upon an application. If a tag is used for book tracking in libraries, the paper or plastic is used and for harsh environment the material will be different. Under the various environmental conditions such as temperature, humidity, chemical impact, sand, water, dirt etc., a tag requires the suitable IP rates for protection. For indoor applications the IP65 or less are suitable and while selecting a tag for outdoor applications the IP67 or above is best. 14. How does mounting surface affects the read range? 15. How much data can a typical tag chip store? For the various applications the different chips are available with different choices of memory and security features. In the industries for the tracking of goods low memory tags such as 8 bit or 16 bit are suitable. The high memory tags are mostly used to store a large amount of data with the secure encryption techniques to provide higher accuracy and security to the stored data. The memory of the chips should vary according to the requirement of the application. 16. Which size of an RFID Tag delivers best results? Size of a tag is determined by the size of an asset being tagged and is dependent on the area available to place an RFID tag. Applications which contain large objects like shipping containers and vehicles, there is a plenty of space available to attach an RFID tag. In recent years, RFID manufactures are concerned to reduce the size of an RFID tag to make it suitable for areas such as prescription drug bottles, tools, and electronic equipment where available space to place the tag is limited. 17. How far can the RFID tag be read efficiently? A read range refers to distance between a tag and a reader. Generally, tag has a battery to broadcast signal or extracts energy from a reader to transmit a weak signal. Battery-enabled tag can work well up to 300 feet (100 meter), they are ideal for medium to long range communication. Typical read range of High Frequency tags is limited to 9.84 feet (3 meter), while maximum 30 cm can be achieved with Low Frequency Tags. 18. What are the different ways to mount an RFID Tag? Some tags functions effectively with adhesive materials while others with mechanical fasteners or with welding. Generally, metal tags are suitable with bolts and screws and boxes accommodates with normal adhesive materials. The attachment method is often described in the tag’s data sheet. Screws and rivets – Many tags include pre-drilled holes to facilitate screws and rivets. 19. What are the RFID tag classes or standards? Class 3 Semi-passive tag with read-write memory, onboard sensor and an incorporated battery to provide increased coverage. Class 4 Read-write active tag with integrated transmitter for communication using the battery onboard. Class 5 Class 4 tags that provide additional circuitry to communicate with or provide power to other tags. 1. What is the difference between a fixed and mobile RFID reader? 2. How do RFID readers connect to other parts of the RFID system? RFID readers have different methods of being connected to the computer host or network including via Bluetooth, USB, serial, Wi-Fi, and Ethernet. 3. What is RFID reader collision? 4. Which factors affect read range of an RFID tag? A read range is greatly affected by the reader transmit power, tag orientation and antenna gain. 5. How do I know which frequency is right for my application? Different radio wave frequencies are used for different applications. Low-frequency tags are cheaper, use less power and are better in penetrating non-metallic substances. Hence, they are great for scanning objects with high-water content, such as fruit, at close range. Tags with higher frequencies offer better range and faster data transfer. However, they use more power and are weak in penetrating materials, which means they more commonly require a direct clear path between the tag and reader. 6. Do all countries use the same low, high, and ultra-high frequencies? Most countries use 125 kHz or 134 kHz for low-frequency and 13.56 MHz for high-frequency RFID applications. Europe uses 868 MHz and US uses 915 MHz for Ultra-high frequency RFID applications. Some countries like Japan do not allow any use of the ultra-high frequency spectrum for RFID applications. To tackle this problem, some tag and reader manufacturers are providing devices that can work at more than one frequency.